How low is a minimum wage? In its pilot phase, working closely with the workers’ representatives and local stakeholders, the FAIR SHARE project determined the monthly financial requirements of a family of four living in the Tamil Nadu area in India. The project calculated that instead of the government legal minimum wage of 285 INR per 8 hours shift, workers should receive at least 466 INR for a shift in order to earn a living wage. The FAIR SHARE project therefore set the LIVING WAGE BENCHMARK for the area at 14,048 INR per month. In order to reach the set living wage of 466 INR, the lowest grade wage of 307 INR would have to be increased by 159 rupees in net terms. 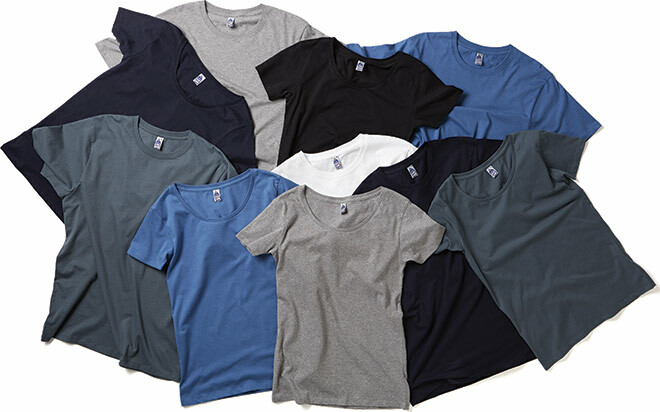 The required increase in wages has been converted into an increase in the labour cost of each garment resulting in an additional 10p per T-shirt and 54p per sweatshirt. Of course, with the changing minimum wage levels and any possible variations in the living wage benchmark, this will be re-evaluated annually. In the absence of an existing calculation that would reliably reflect the realities of living and working in the garment industry in Tamil Nadu in India (where the factory is located), the Fair Share project commenced by defining the living wage benchmark specifically in relation to the factory workforce. Based on the adopted definition of the living wage and primary research results, a round of discussions was held with representatives from a local NGO, the management and the workers of the factory, to put accurate figures on all the elements of the living costs. The result was a net monthly requirement of 12,116 Indian Rupees (INR) set in December 2015. This equates to a standard shift rate of 466 INR “net money in hand”. This figure was then grossed up to allow for the statutory deductions of 13.75% from the pay slip. Consequently, the FAIR SHARE living wage benchmark for the Tamil Nadu area as of December 2015 was set at 14,048 INR per month (£141 or €191). This benchmark will be reviewed annually to keep track of the changing costs of living. Even though the current production covered by the FAIR SHARE scheme would only be around 10% of the factory’s output in the first year, it was decided that all the factory workers should benefit from the increase in wages rather than only those actively involved, and it should be paid through the monthly pay roll rather than as a one-off bonus, every month, on a permanent basis. The Fair Share scheme guaranteed that this additional monthly wage payment would not decrease or stop for as long as the company has a trading relationship with the factory, regardless of the volume of future orders. The problem is that most garment workers in India are employed on the legal minimum wage, which is usually much below the living wage level. They earn more as they become better qualified and occupy more senior positions. However, even then they still do not earn as much as they need for a decent standard of living. From the beginning of 2016 all the workers at the factory making these products in India receive an additional premium towards the living wage.